There are so many online tools that are increasingly making our lives easier, and Booking.com was created with that very objective in mind. Owned by Priceline, Booking.com is an online service that has been providing effortless access to one of the most extensive assortments of hotels and rarer and unique accommodation alternatives in several different destinations. Everything from villas to resorts to log cabins, since 1996. If you are looking for cruises and excursions, Booking.com cannot help, but for every other thing, it is an amazing and robust trip planning resource. On the website, Booking.com claims that, “Whoever you are, whatever you want, we’ve got the perfect place for you.” The implication of this statement is that the site offers you nearly limitless booking options, and it can help you plan just about any kind of vacation or trip you want. Well, this statement is largely true. Nonetheless, Booking.com is not exactly the place to book cruises, and its car rental options are not all that great, to be honest. However, overall, Booking.com does provide quite an exceptional selection of places to stay on your travel, featuring over 1.5 million hotel listings around the world. And it is not just hotels, there is a plethora of apartments, cabins, cottages, villas, beach resorts, bed-and-breakfasts that you can choose from. Booking.com is a really nice way to spice up the lodging aspect of your trip. Booking.com’s tidy interface and smart booking process are widely appreciated by customers around the world. The wideness of the range of accommodations on offer as well as the level of detail about each of them is also another impressive aspect of the website. Booking.com does a great job of publicizing other Priceline-affiliated travel websites, giving the same prices that you would find if you visit those sites. However, the Booking.com website has the considerable advantage of being easier to navigate than most other sites. WHAT EXACTLY CAN YOU BOOK ON BOOKING.COM? As expected, the search results are a bit akin to those on Priceline.com, but Booking.com seems more tailored to business trips, as the site asks if you are traveling on business so that it will suggest logings with free parking, breakfast and Wi-Fi. Airport taxis, European train- and bus-rides, as well as restaurant reservations can also be booked on Booking.com. Aside hotels, Booking.com provides so many other accommodation options to travelers including hostels, vacation rentals and resorts. Although some of these kinds of accommodations may be found on other travel websites, Booking.com also features some others that cannot be commonly found on competing sites. Some of these include home-stays and bed-and-breakfasts. If any of these unique alternatives spark your interest, then you want to take a look at Booking.com, because they have a selection of such places that cannot be found anywhere else. As earlier mentioned, Booking.com is a subsidiary of Priceline. A lot of the popular travel sites belong either to Priceline or to Expedia. While search results, deals and features on Priceline-owned travel websites are widely varied, Expedia’s affiliate companies feature similar search results and deals. If you need a taxi to take you from one airport to another or just a ride downtown, you can book through Rideways, another Priceline affiliate, via the Booking.com website. You can get airport taxis in standard, executive, people carrier or executive people carrier categories. In cities where Uber is banned, this can be a real asset, Rideways ensures that you do not get ripped off by taxi drivers in a place you are not familiar with. Yet another affiliate of Priceline, OpenTable is a website that allows you to make reservations at restaurants in different areas. If you know where you want to eat or just want to be sure of getting a table, you can book on OpenTable via the Booking.com website. 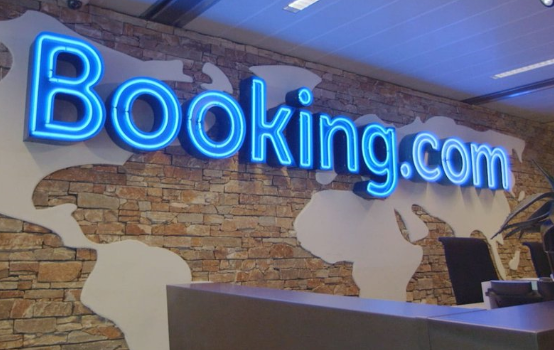 Booking.com has made searching on their website as easy and user-friendly as possible as you can perform searches by theme. This could be based on location, amenities (such as beach and spa hotels), and suitability to particular groups on a trip (such as families, or business people). If what you want fits any of their search categories, then it is a great point to begin the search. You may also include extra search conditions such as specifying dates, or using hotel ratings to further ease your search for the perfect location. The Booking.com mobile app is one of the best-reviewed mobile apps there is, with a rating of 4.8 out of 5 stars. The app is available for iOS, Android and Windows devices, and grants you access to the very same search tools available on the Booking.com website. With a few clicks, Booking.com will give you the available accommodations in your area, even at the last minute. Immediately you book a space, the app will also provide a map to direct you to it using your mobile phone’s GPS. Everything is even faster if you sign into your Booking.com account through the mobile app, and every search and payment detail is automatically synced with your device for subsequent use. If you subscribe to Booking.com newsletters, you gain access to their special “Secret Deals,” that come at half the normal price of the accommodation, and are only available for short periods. You can customize these emails by selecting your desired locations so that Booking.com will watch out for the best deals in such areas and notify you immediately they come. This way, you may just be able to book that vacation at your dream destination. The beauty of it all is that subscribing to these newsletters is totally free, and you get to unsubscribe whenever you want to. It is surely worth considering for steady access to the sweetest deals available. Just like Priceline, its mother company, Booking.com does not factor taxes in when making price quotations for the accommodations, and so you are likely to wind up paying somewhat more than the price stated on the site. This is, however, understandable to a large extent as tax rates may vary with the hotel or location, but then, you need to take note of this while searching for spaces on Booking.com. It is wise to leave a little allowance for this in your budget, so that you do not run into any problems. The airfare search is not affected by this, however. Booking.com’s airfares are generally cheaper than competing sites, even with the taxes added. For booking cruises, scheduling excursions or renting cars, you may want to try another travel site (like Travelocity). This makes it difficult to actually keep all your travel plans on a single site with Booking.com. Although Booking.com features some car rental options, the feature is more or less lacking in a lot of ways. Very few car rental options come up when searched for, and customization is inadequate. You get very few car style choices and pickup locations. Thus, you might want to depend on Booking.com only for accommodations and air tickets. The price-matching option is available on Booking.com, but you must inform the site of the lower price on the same booking, a minimum of 24 hours before the date of your check-in. Lower prices, due to reward packages and promos are not valid. Make sure to verify all other terms and conditions before you make your reservations. In terms of air tickets, Booking.com does offer some of the cheapest obtainable prices, normally $10 to $20 less than competing sites. Although this may be a slim margin, costs do add up when you are planning a trip, and so no amount saved is too small, as savings could add up to something reasonable. Booking.com also features a “Trend” window in the upper left-hand corner to let you know whether to book your tickets now or wait, depending on their prediction of fare prices rising or dropping. Although Booking.com is not the best place for booking cruises, activities and cars, you can get the best airfare rates and an impressive range of accommodation options. 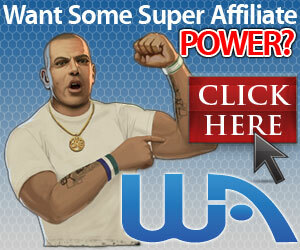 The website is perfect for getting fair deals on simple vacations and trips.